During her 30th Dartmouth reunion this past June, Mara Rudman ’84 suddenly found herself preparing for a wedding that she never thought she’d have. After returning to campus post-hike, the small group of ’84s shifted into high gear. 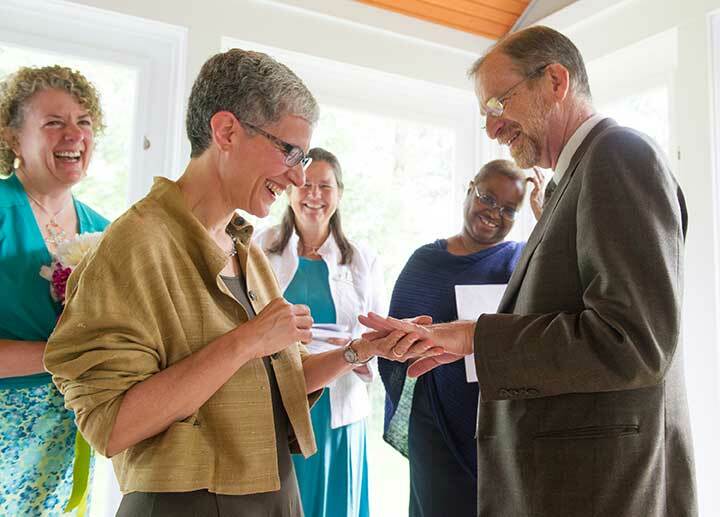 Congregational minister Lucia Jackson ’84 got the marriage license and she and Daughtry planned the ceremony. They met with Eric Grubman ’84, who is Jewish, to make sure the service would be appropriate for both Rudman and Moscow, who are also Jewish. Rudman served as a security and international development advisor to two presidential administrations, and she currently is principal of Quorum Strategies, an organization that helps clients navigate the intersections of government and business. 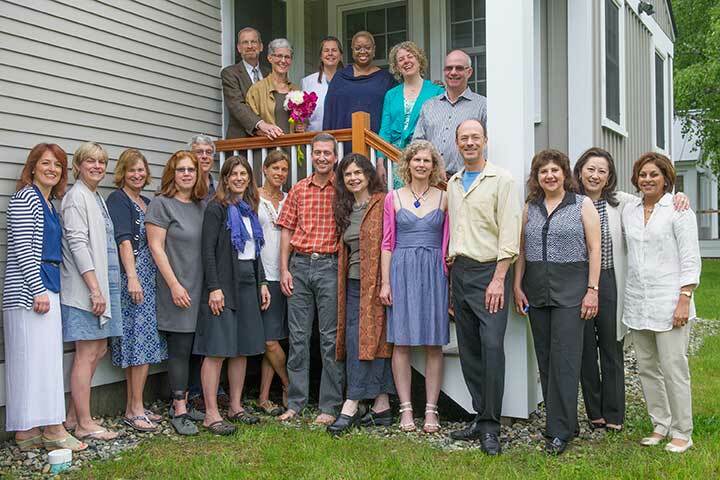 At the invitation of Dean of the Faculty Michael Mastanduno, Rudman served for ten years on the Board of Visitors of the Dartmouth’s Dickey Center for International Understanding. In the fall of 2013, she taught a national security seminar at Dartmouth.